Last week a California Fruit Bounty Box (regular-size) from GrubMarket arrived on our doorstep. Opening that box was most fun we’ve had opening a package. I could barely keep the kids’ excited hands out of the box as I pulled out fruit after fruit. They could not wait to try all the fruit while I kept repeating, “wait! I have to take pictures first!” I had to snap the photos fast! I wish I’d taken a pull back shot from my quick photo shoot, because all the kids were just outside of the frame drooling over the fruit and discussing what they wanted to try first. Product photos successfully (although quickly) taken, the kids crowded around the kitchen table to sample the fruit. I loved how fun it made trying new things. We had fruit in our box I’d never heard of before, much less seen in the grocery store! I had to google to find out how to eat them! 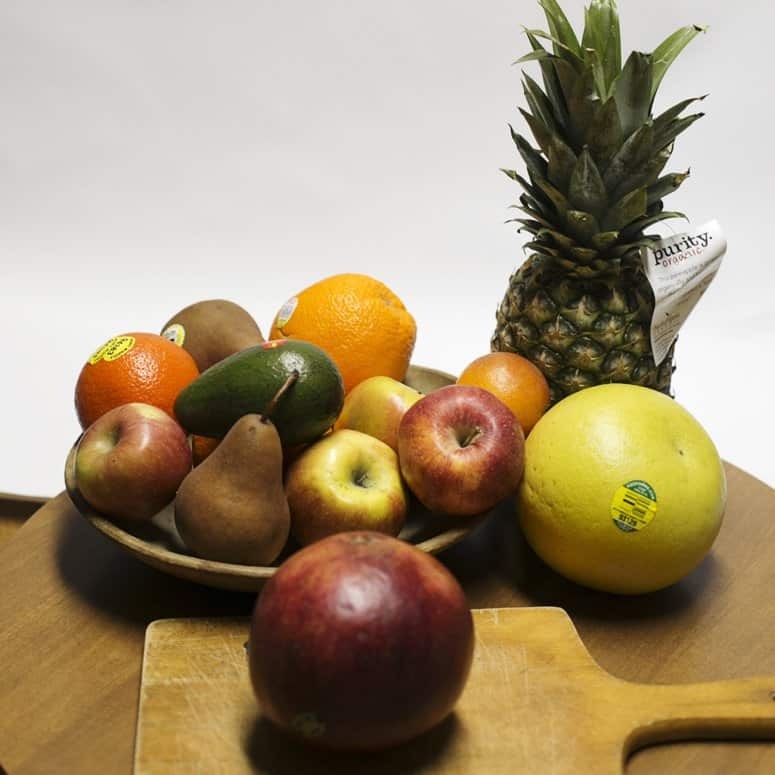 We crowded around the kitchen table, and the children chose fruit after fruit to sample. Every single fruit was so sweet and delicious. I’m always afraid to buy unfamiliar fruit at the grocery store, because I never know how to pick the correct ripeness. GrubMarket took all the guess work out, and every fruit was sweet and ripe. I thought I didn’t like pears, but after eating the pears in our GrubBox I’m thinking I’ve never eaten a ripe pear before. They were so delicious! I could not wait to eat the pomegranate, as I have such good memories of enjoying them while studying abroad in Spain. As we opened and tried the pomegranate I took the opportunity to share the memories of that adventure with my children. My grandmother was so excited to see dates in the box. As we sampled the dates, she told my children stories of her newly wed days eating dates with my grandfather while he was stationed on a Naval ship in California. 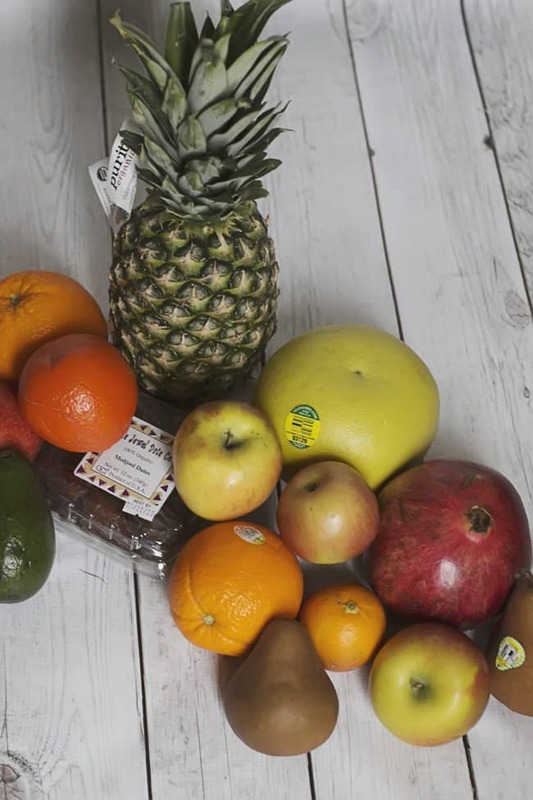 We found delicious perfection in our GrubMarket California Fruit Bounty Box, delivered right to our door. Go check out GrubMarket for yourself! Save 20% off your first order by using code GRUB20 and enjoy free shipping on orders over $59. 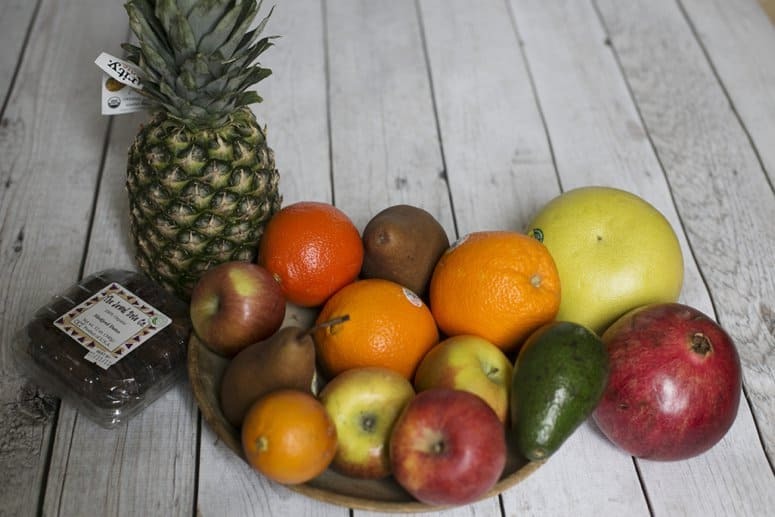 Enter to win your own California Fruit Bounty Box below! Connect with GrubMarket on Facebook, Twitter, and Pinterest. 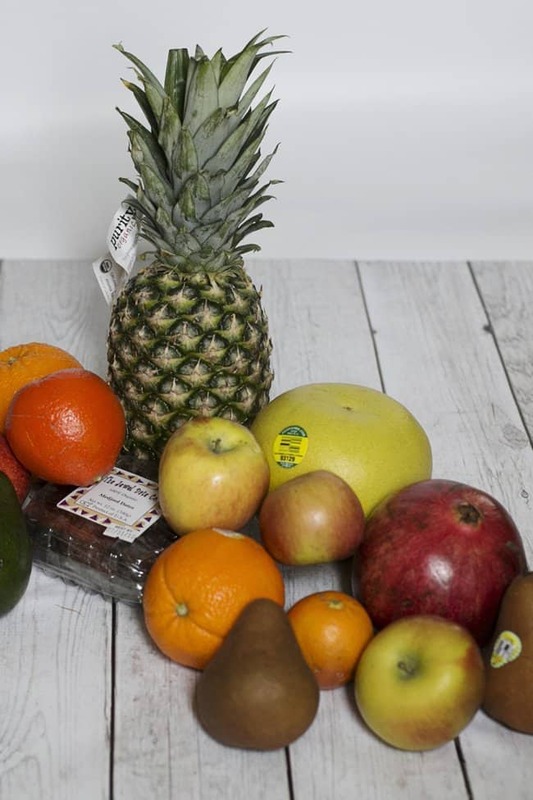 One lucky winner will receive regular-size California Fruit Bounty box! It starts right now and ends February 11, 2015 at 11:59 pm EST. That looks awesome!! We'd love to try some new fruits! Fresh pineapple is my favorite! I've never tried a pomegranate or blood orange. My favorite fruit are clementines. Strawberries are my very favorite fruit, but really I love fruit. I have never tried ugli fruit. I've never heard of that one! I'll have to put it on my list! What a fun delivery -- my family would love the GrubMarket fruit bounty! I'd like to learn how to use the dates in recipes. I have never tried a pummelo. I adore pineapple! I could eat it everyday!! I'd love to try a Minneola! I haven't ever tried a Minneola. I think my boys would eat everything! Bananas are my favorite, but I like most fruits. I love pineapple, but have never tried dates. I need to! Bananas and strawberries are my favorite. One fruit I have never tried is marionberry. Fresh peaches are my favorite, and I like trying new ones, too. Fresh peaches are my favorite fruit. 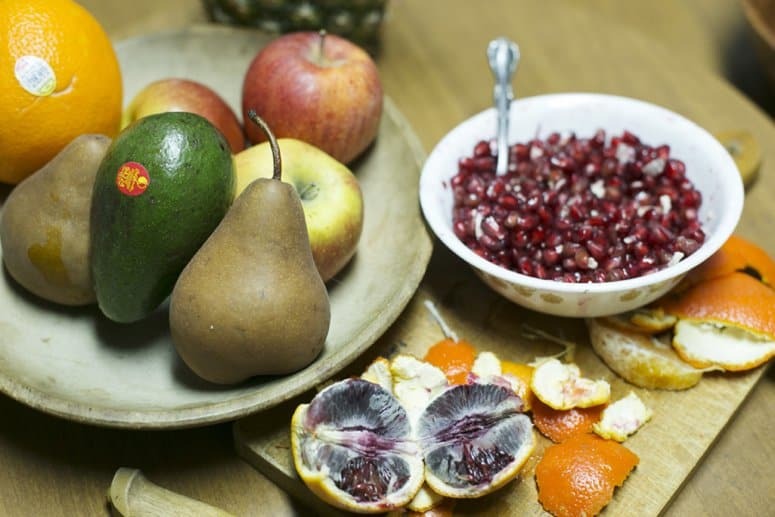 I think my favorite fruit might actually be pomegranates, now that you mention it! i love raspberries, but i want to try an asian pear - does it taste very different?? I would like to try a star fruit. I should just go buy one. A family member used to send us a box of citrus fruit every year for Christmas. That was the first time I tried a pummelo and it was so yummy! I love fruit, so it's difficult to pick a favorite. I love mangoes, ranier cherries (the yellow ones) and watermelon. Grapes and Strawberries are my top favorites but I could eat fruit all day long! I love perfectly ripe mangos! I've never tried a star fruit before! I would love to try some passionfruit!